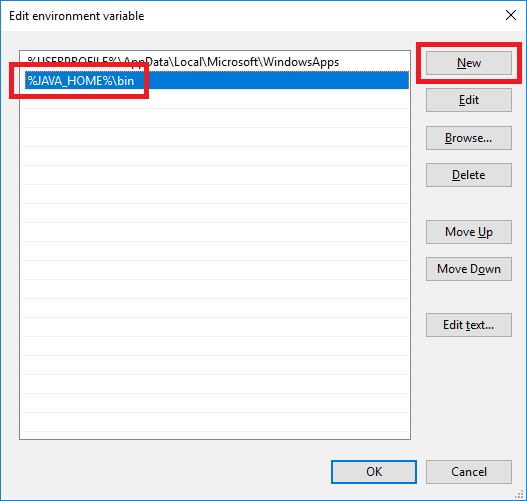 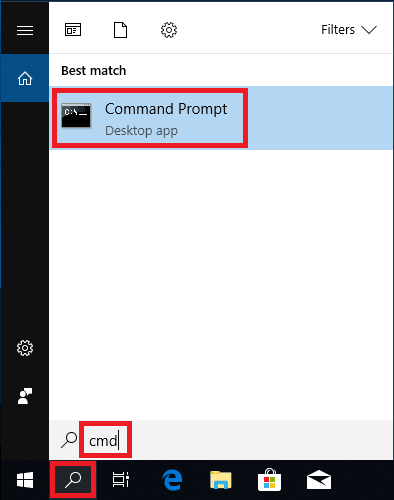 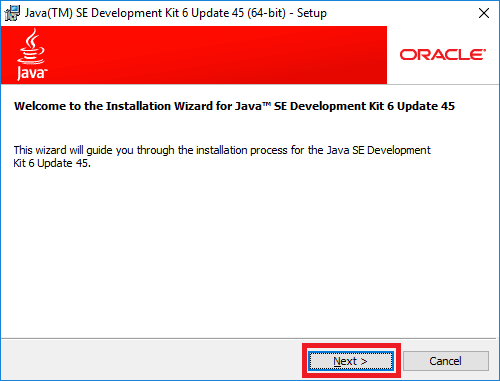 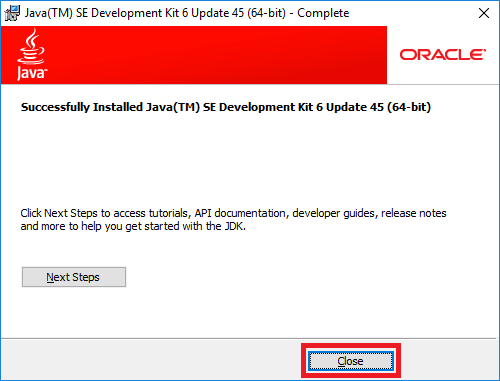 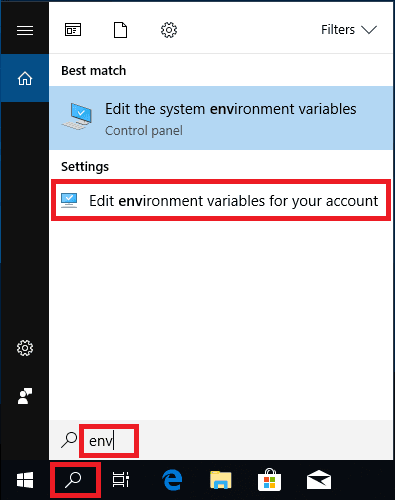 In this guide, I’m going to show you exactly how to download and install JDK 1.6 on Windows. 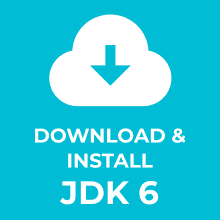 First, I’ll show you where you can get JDK 6. 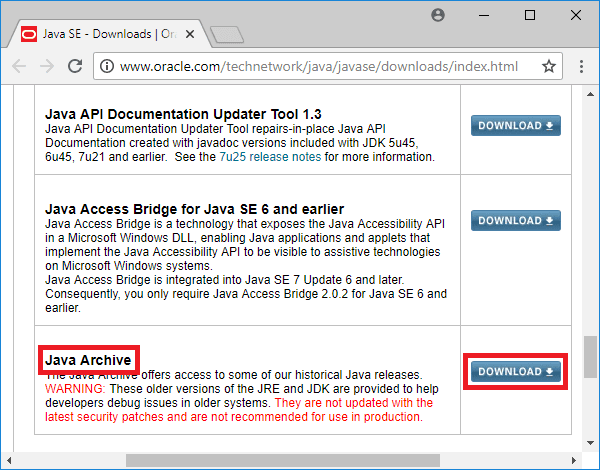 Check following post if you are looking to download and install JDK 1.5, JDK 1.7, JDK 1.8, JDK 9, JDK 10 or JDK 11. 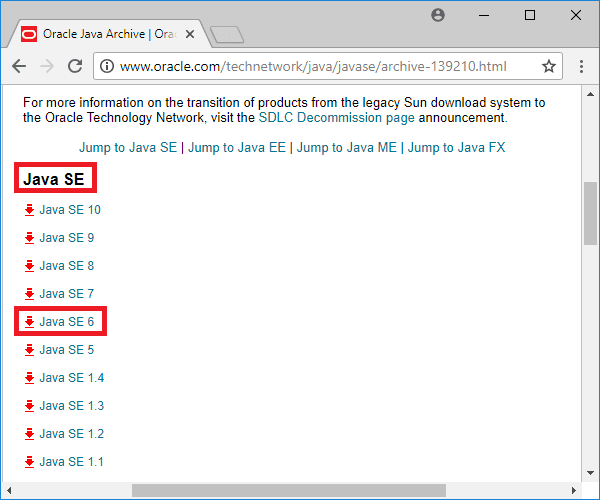 Click on the Java SE 6 link under the Java SE title. 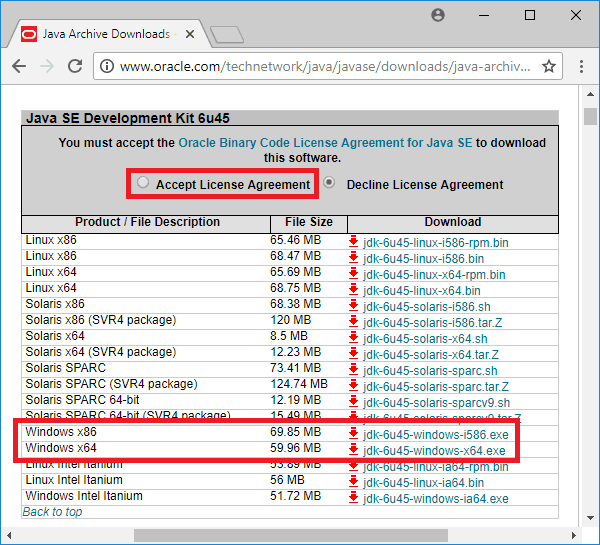 Look for the Java SE Development Kit 6u45 section. 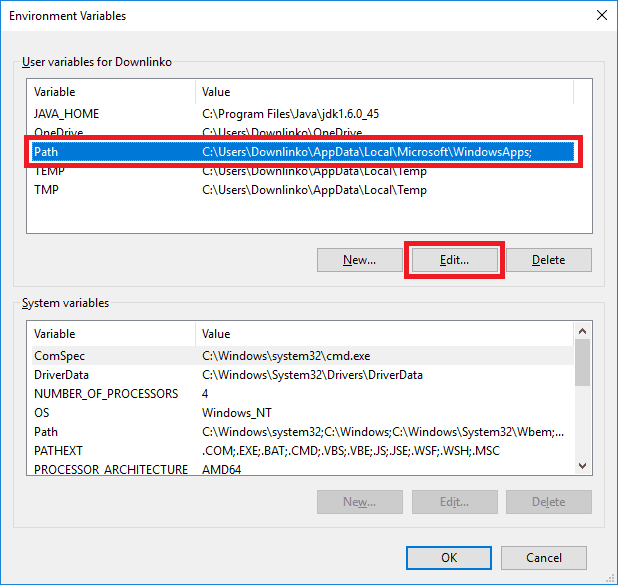 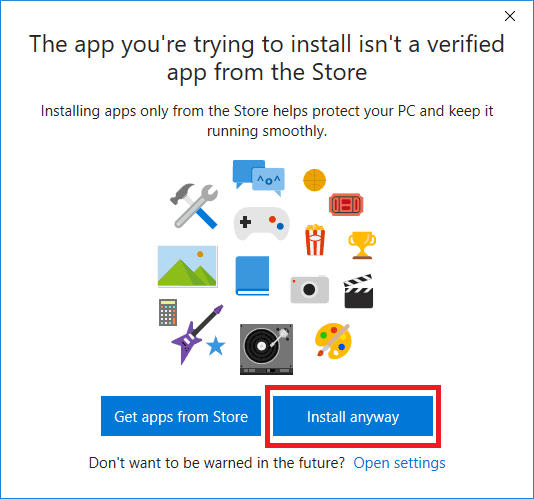 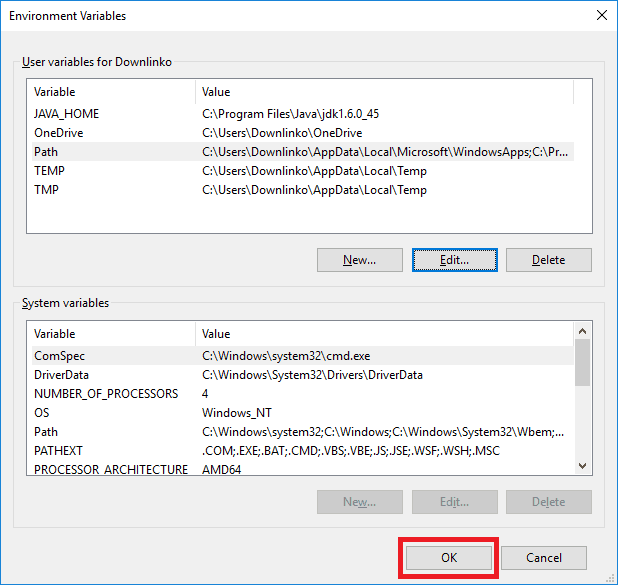 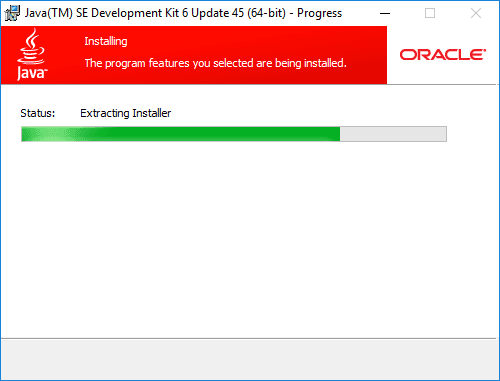 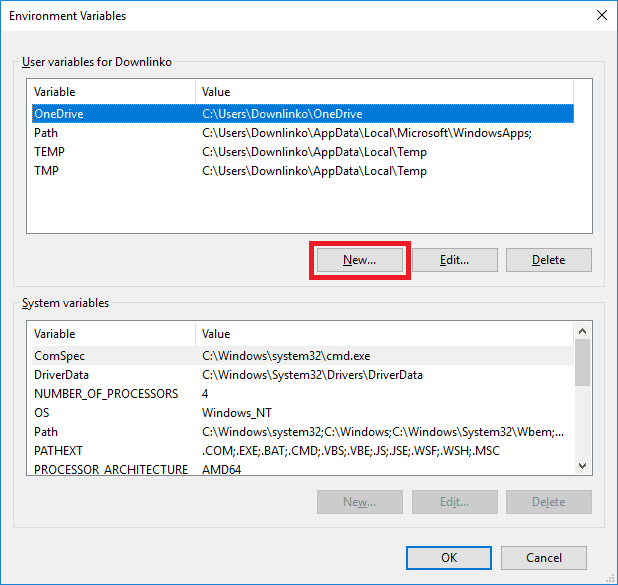 In this guide, we will download the 64-bit installer: jdk-6u45-windows-x64.exe. 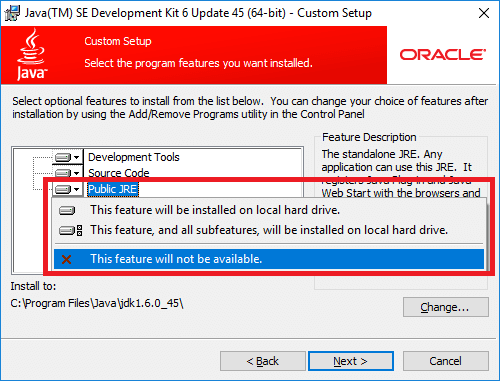 In this example, we keep the default install location of C:\Program Files\Java\jdk1.6.0_45. 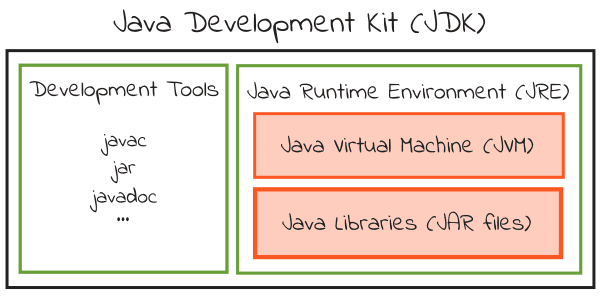 From now on we will refer to this directory as [JAVA_INSTALL_DIR]. 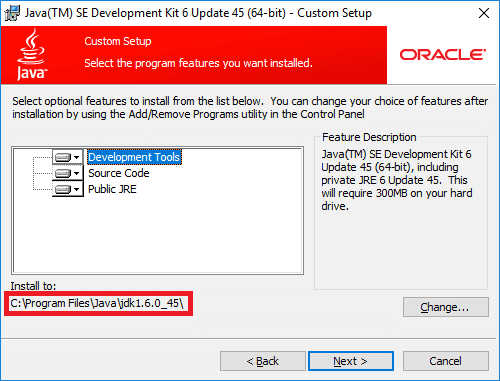 In this tutorial, the Java installation directory is C:\Program Files\Java\jdk1.6.0_45. 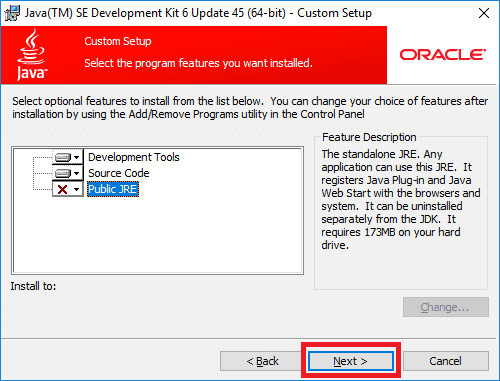 The above command prints the installed JDK version: 1.6.0_45. 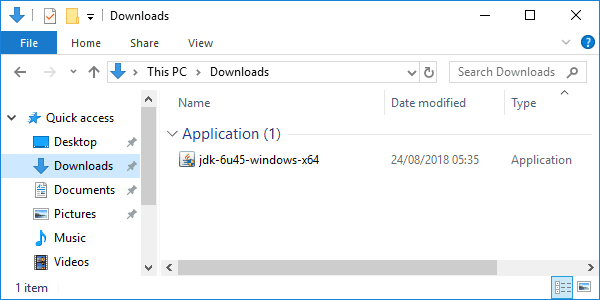 Congratulations, you have installed JDK 1.6 on Windows 10!